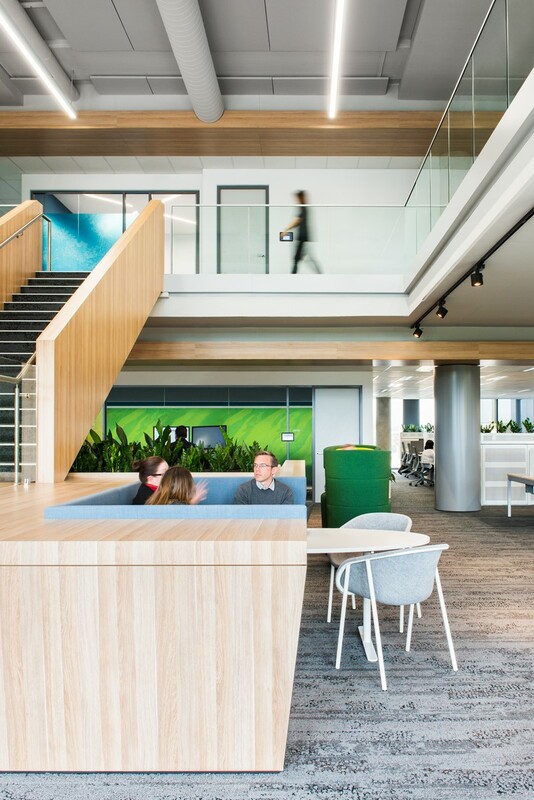 An agile office that gives employees more workplace choice. 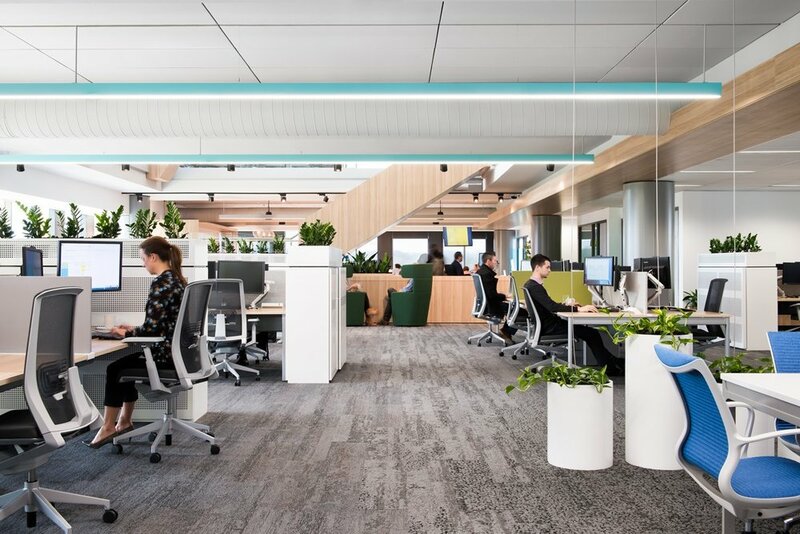 The modern work place is so much more than being desk bound all day, so Futurespace developed a unique zone system to give AstraZeneca Australia employees more flexibility and allow for different styles of working. 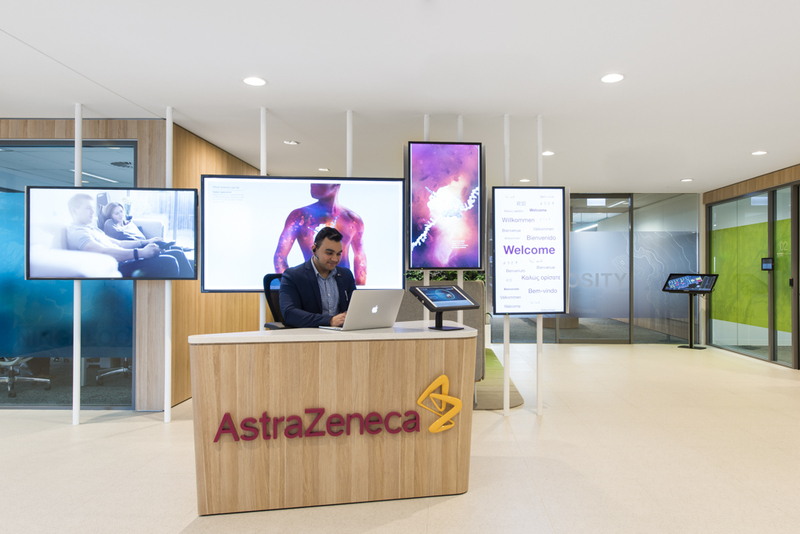 Through the Futurespace design, AstraZeneca Australia’s 3,000 square metre office gives its 200 employees the option to work in four ‘zones’, with each zone catering to different styles of working and collaborating. Sitting at the same desk all day does not promote productivity, health and wellbeing, or collaboration. However, it is just as troublesome to let employees work wherever they want without having the correct design infrastructure in place. That is why the ‘zones’ are effective. 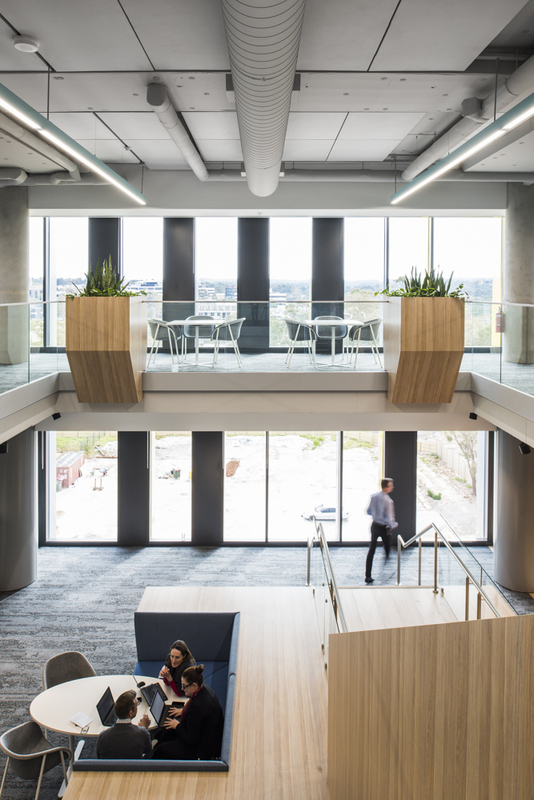 Each zone was designed to facilitate different styles of working, whether it’s informal chats over coffee, structured team meetings or focused individual work. The Unplugged Zone – where employees can relax on large lounges, prepare meals in the large home styled kitchen, make coffee in the second office kitchen, take in the sunlight on the tucked away booths, or order coffee or lunch at the café. 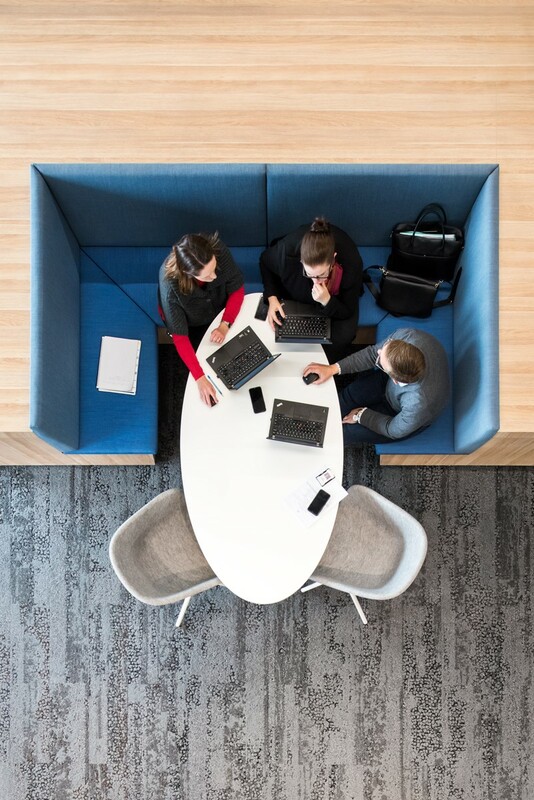 The Connect Zone – includes conference rooms with video conferencing and audio visual systems, the boardroom, private meeting and collaborative spaces. The Base Zone – open plan work areas, private work areas, project areas, informal meeting areas, community spaces.